Our daughter has taken to ice skating in a big way and raised the question of where the sport originated. Google tells us that pre-historic types strapped bones to their feet and trekked across ice with these and some sort of ur-ski poles. Sounds more utilitarian than anything else. As far as free form goes, it was the Dutch who came up with the idea of metal blades and real boots some time in the thirteenth century. Who doesn’t like a good divorce? Someone else’s, by preference. 1817 saw a rather nasty one that excited a London public that had gotten little enough of excitement since the end of the Napoleonic wars. For a certain kind of tourist, one major draw to Paris is Jim Morrison’s grave at Père Lachaise cemetery. Well, we all have our slightly ghoulish sides, I suppose, and graveyards are generally peaceful places, even those with lizard kings and other assorted hell-raisers. 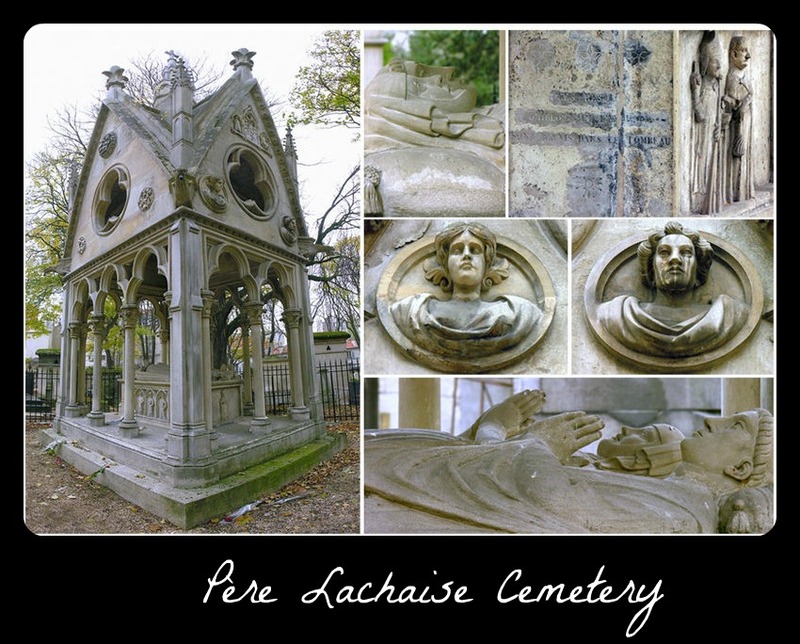 The cemetery itself was a creation of the First French Republic, Bonaparte declaring that even the non-Catholics of the world had the right to be buried somewhere. Not that France at the time was overflowing with non-Catholics. 1804 being one of those Age of Reason years, the authorities felt no need to consecrate the place, and so good Catholics (and presumably even bad Catholics hedging their bets) stayed away in droves. Faced with this clear and utter flop, the Public Relations folk stepped in. How to make the neighborhood desirable? You bring the artists in, of course. Officials dug up Molière (a comic playwright – fitting, no?) and re-potted him on the hillside. Still nothing. Okay, let’s go the romantic route, make a memorial for Abelard and Hèloise.